Rebecca studied law at Durham University and then went on to complete an LLM in Human Rights Law at Queen Mary, University of London in 2012. Her postgraduate dissertation focused on the rights of survivors of human trafficking. During her LLM, she volunteered with Eaves Housing for Women where she undertook research into prostitution levels in London in the run-up to the London Olympics. 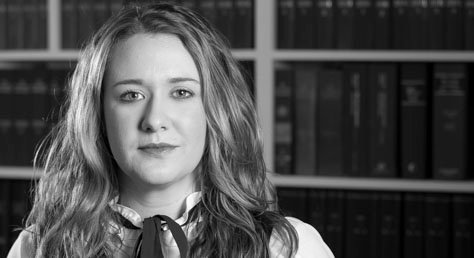 Rebecca completed the Legal Practice Course in 2014. Rebecca joined Wilsons as a caseworker in our immigration team in 2016. Before joining Wilsons, Rebecca worked at Laura Devine Solicitors as a paralegal, focusing on private clients and corporate immigration law. She volunteered as a caseworker at Bail for Immigration Detainees, where she assisted individuals in immigration detention with bail applications. Rebecca then went on to volunteer with the Anti-Trafficking and Labour Exploitation Unit where she assisted solicitors in bringing cases against exploitative employers in the Employment Tribunal and to help survivors of human trafficking regularise their stay in the UK. She also volunteered with the Welfare Benefits team at Islington Law Centre. Interests: Travel, literature and the arts.